Inspired by the award-winning show Batman: The Animated Series comes this version of Two-Face! Standing approximately 5-inches tall, this figural statue accurately captures the unique style from the show. 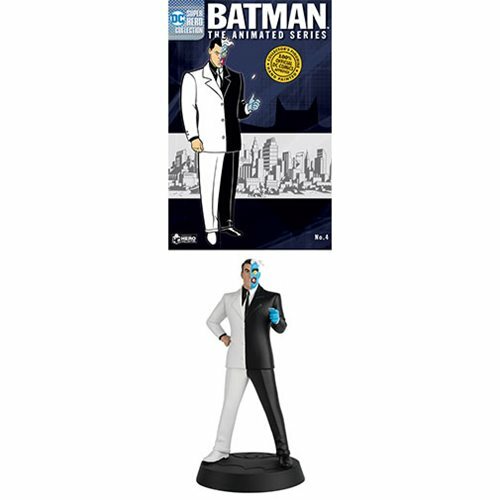 This Batman: The Animated Series Figure Collection Series 2 Two-Face with Magazine #4 comes packaged in retro-style blister packaging with a 12-page magazine focusing on the tenants and tales of Gotham City. Two-Face stands approximately 5-inches tall.